Liz began Project SEARCH® as a withdrawn personality unwilling to engage individuals. She was living day-to-day with the struggles of Autism. Little did she know, her world was about to change. 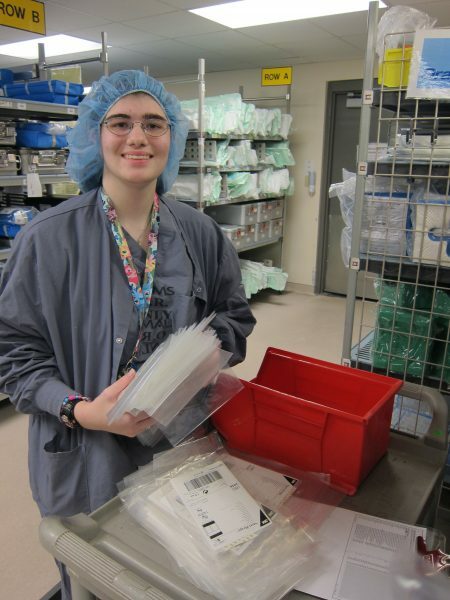 Liz entered the Project SEARCH internship, and she began to learn valuable social and work skills blossoming into a more focused and self-confident young woman. As an employee of Embassy Suites, Liz has learned to engage with others, to push herself to keep going and stay focused on her tasks at hand. Whether she is preparing housekeeping carts or making sure the facility is in tip-top shape, her new-found confidence gives her the determination to get things done.